The first thing that comes to mind when you think of gold is what? Probably not envelopes, right? Well, we're here to change that. With these Gold 4 1/4 x 5 11/16 Envelopes, you'll not only fall in love right away with its elegance but you might start to wonder if you actually want to give them up to your future recipients. These stylish Gold Cello Envelopes are available in a smooth matte gold, as well as a stylish textured marble exterior. Use them for anything from invitations to greeting cards, or even a classic handwritten letter. An elegant gold color works great during the holiday seasons and can be worked into most any theme. The cello material will protect even the most important photograph you own! 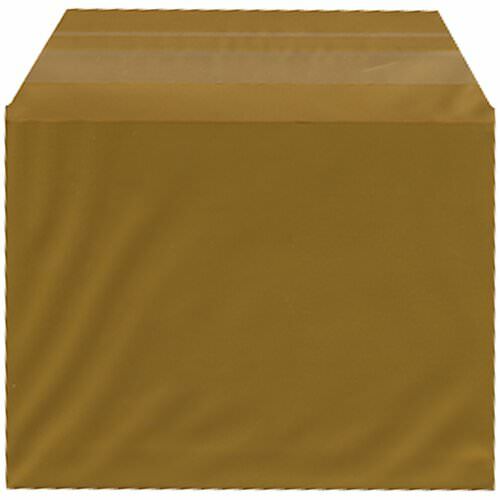 Gold Cello Sleeve Envelopes measure in at 4 1/4 x 5 11/16, are available in Gold or Gold Marble and feature a rectangular peel and seal closure for easy and fast security.